I could really get used to these easy wins. 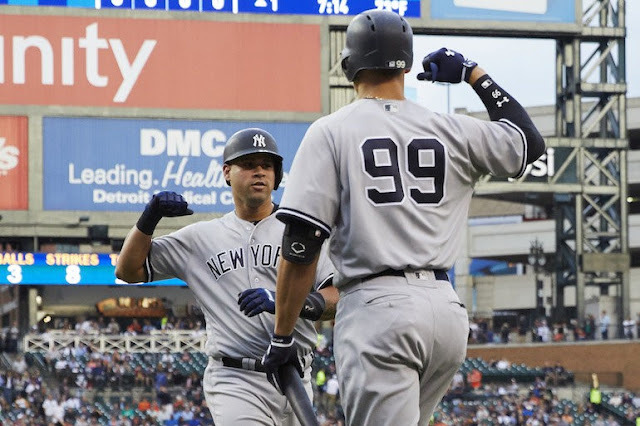 Riding the arm of Luis Severino and the bat of Gary Sanchez, the Yankees rode their way to victory over the Detroit Tigers. The Tigers opened the game with two good defensive plays to record outs. As Gary Sanchez strolled to the plate, the FOX announcer said "This cat can hit". Yes, he can. Sanchez sent the pitch from Tigers pitcher Jordan Zimmermann high into the left field stands for the early lead. The Yankees added more runs in the 3rd inning. Jacoby Ellsbury, making a rare start, led off with a single to center. Ronald Torreyes followed with a single through the hole into left field. Brett Gardner came up and everyone was expecting bunt. But Gardy swung away and lofted a fly ball deep enough into center for Ellsbury to tag and move to third. 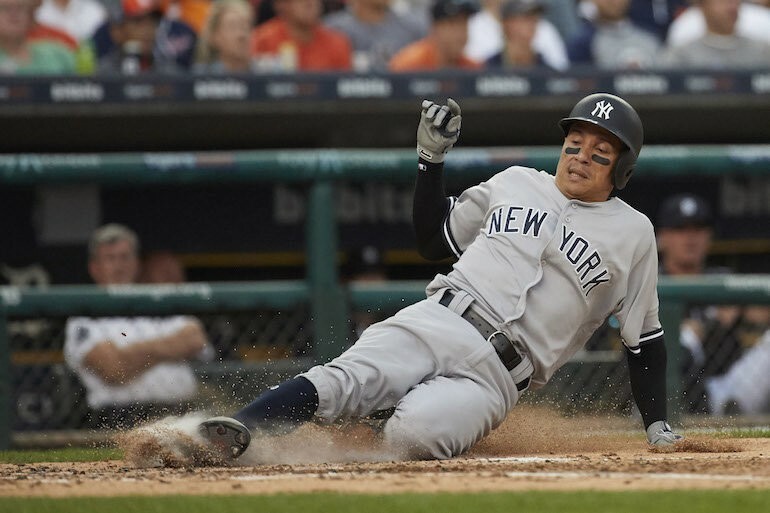 Tigers centerfielder Andrew Romine threw the ball to third, over the head of the cut-off man, too late to get Ellsbury but the throw allowed Toe to recognize the opportunity to take second. Aaron Hicks took a walk to load the bases. Gary Sanchez hit a fly ball that dropped in between the outfielders in left center field. Both Ellsbury and Toe scored to make it 3-0. Hicks moved to second. Aaron Judge added a run on a double to center that went over Andrew Romine's head and bounced on the warning track, scoring Hicks. After a coaching visit to the mound, Didi Gregorius singled to up the middle to center to score Sanchez. Judge moved to third. He didn't wait there long as Chase Headley lofted a fly deep enough to center for Judge to tag up and score. The Yankees had taken a 6-0 lead. Didi Gregorius added a solo homer to right center, a few rows behind the wall, in the 5th inning to make it 7-0. Tigers reliever Chad Bell replaced Zimmermann to start the 6th inning and he proceeded to walk the first two batters (Todd Frazier and Jacoby Ellsbury). The big little man, Ronald Torreyes, singled to left through the hole between third and short to score Frazier. Luis Severino had been cruising up to this point but Ian Kinsler led off the bottom of the 6th with a homer to left to get the Tigers on the scoreboard. The Yankees wasted no time in getting the run back when Chase Headley homered to left inside the foul pole with two outs in the top of the 7th inning, a solo shot. It was 9-1 Yankees. In the bottom of the 7th, Sevy struck out John Hicks to start the inning. Then, he walked Andrew Romine, and Jose Iglesias singled to center. Sevy got the second out when he struck out Ian Kinsler swinging but that would be all. Manager Joe Girardi made the trip to the mound and brought in former Tiger prospect Chad Green. Green struck out Alex Presley for the third out. The Yankees final run came in the top of the 8th. With one out, Ronald Torreyes reached on a grounder that glanced off first baseman Miguel Cabrera's glove into right field. It was scored a hit for Toe. Brett Gardner chopped a grounder to second and the Tigers got the force out on Toe but a throwing error on second baseman Ian Kinsler (off-balance throw that went into the Yankees dugout) allowed Gardy to make it to second. A ground ball to left by Aaron Hicks scored Gardy. 10-1, Yankees. Tommy Kahnle replaced Chad Green for the 9th inning. John Hicks, the first batter, hit a deep fly to right but it stayed in the park for the out. Kahnle struck out Andrew Romine for the second out but the next batter, Jose Iglesias, smashed a change-up from Kahnle into the left field stands. Iglesias may not hit a lot of home runs (this was his 5th) but when he gets a hold of one, it goes far. Dixon Machado doubled down the left field line, making me wonder if Kahnle was going to make it to the end of the game (Aroldis Chapman was warming up) but Alex Presley grounded out to first to end the drama. The Yankees win! The Yankees (68-57) were unable to make up any ground on Boston as the Red Sox beat the Cleveland Indians for the second day in a row. They remain 4 games behind. The see-saw battle for third place continued as the Baltimore Orioles reclaimed the spot with an 8-7 victory over the Oakland A's in 12 innings. The Tampa Bay Rays dropped to fourth with a 7-6 loss to the Toronto Blue Jays. The O's and Rays are 7 and 7 1/2 games behind the Yankees, and the Jays are one game behind the Rays. The Yankees picked up a game in the Wild Card standings and lead the Minnesota Twins by 3 1/2 games for the top spot. 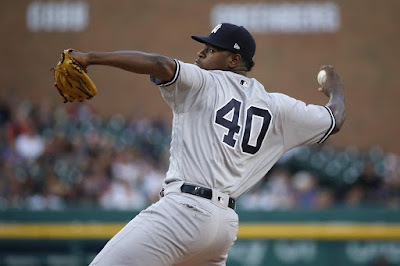 Great game by Luis Severino (11-5). He went 6 2/3 innings (100 pitches...71 for strikes). He scattered 6 hits and gave up only one run. One walk and eight strikeouts. Chad Green had four strikeouts in 1 1/3 innings against his former organization. I'd like to see Tommy Kahnle get back on track with a few clean innings but at least he got the job done despite the Iglesias home run. 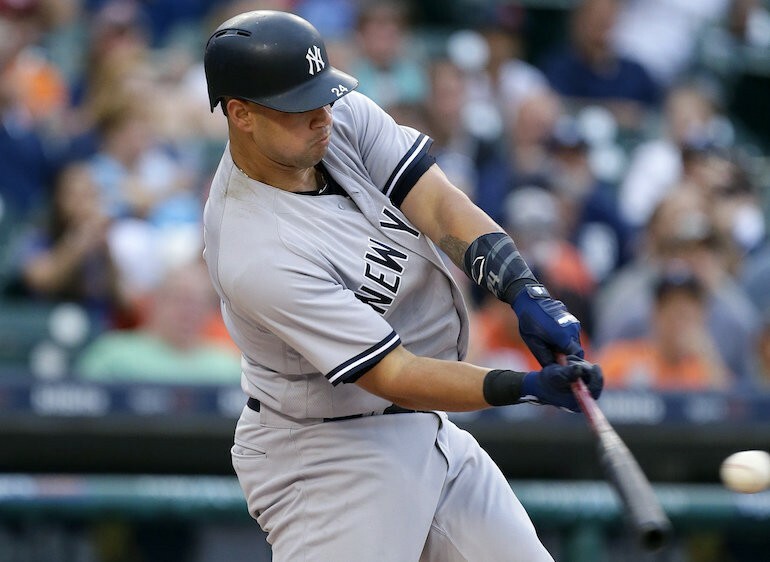 Gary Sanchez continues to scorch August with the homer and 3 RBI's. The Kraken will be well prepared to take the field this weekend for Player's Weekend at Yankee Stadium. 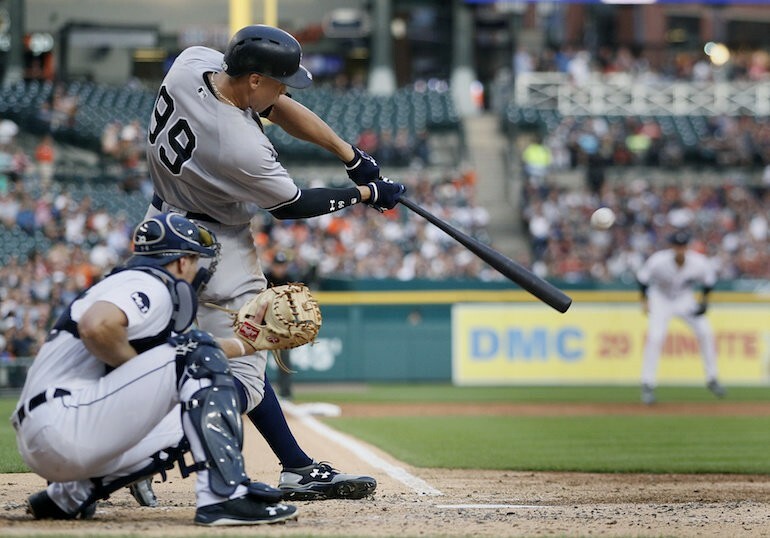 Aaron Judge had one strikeout to extend his latest consecutive game strikeout streak to one game. Seriously, it was a good game for Judge. 2-for-4 with an RBI and a run scored. Also, hats off to Ronald Torreyes who was 4-for-4, also with an RBI and run scored. You can't say enough great things about the job Toe has done this year filling in for Didi Gregorius and Starlin Castro, not to mention his time at third before Todd Frazier's arrival. The Boston Red Sox made a few roster moves yesterday. Starting centerfielder Jackie Bradley, Jr was placed on the 10-day DL with a sprained left thumb (he is expected to be out longer than the minimum time). They also designated first baseman/outfielder Steve Selsky for assignment. President of Baseball Ops Dave Dombrowski then swung a trade with the Oakland A's to acquire swifty outfielder Rajai Davis. The A's received a low level outfielder from the Red Sox (Rafael Rincones). Davis had the game-tying home run off Aroldis Chapman in Game 7 of last year's World Series. The Sox also recalled 2B Deven Marrero from Triple A.
I really felt bad for one-time Yankee Rich Hill last night when he lost a no-hit bid in the 10th inning. The Pittsburgh Pirates beat Hill and the Los Angeles Dodgers on a walk-off home run by Josh Harrison. 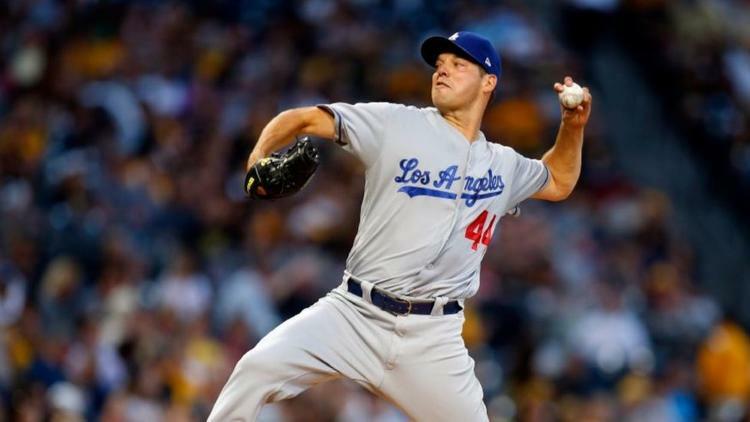 The Dodgers have not had any issues with scoring runs this season but yesterday they were unable to score any and it cost Hill the chance for the no-hitter. He carried a perfect game into the 9th until Logan Forsythe's error allowed a baserunner. One run could have given Hill the no-hitter in a regular 9-inning game. That's a tough way to lose a no-no. Have a great Thursday! It's Getaway Day. Let's get away with the series sweep! Go Yankees!